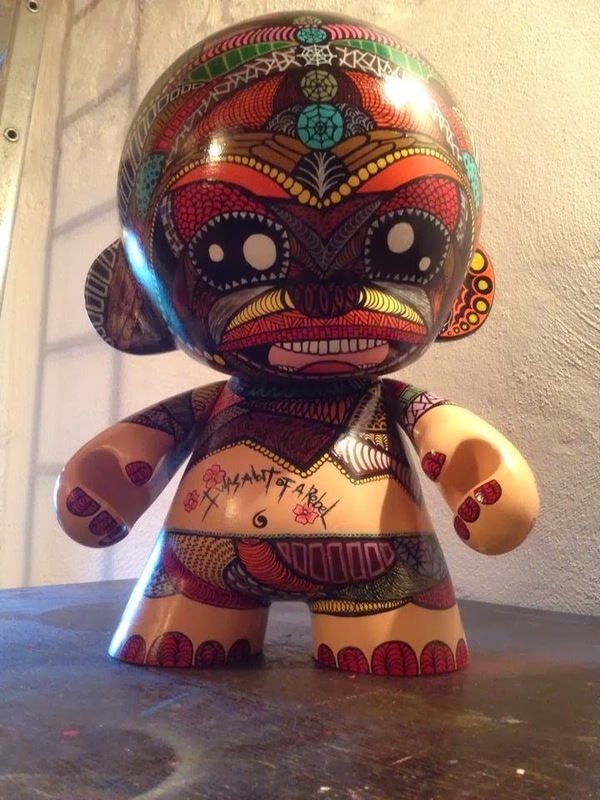 A joint release between Toy Art Gallery and DHP. A few of these will make their debut at the Dark Invasion show next Saturday with the remaining pieces going on sale in the DHP webshop on Sunday. A nod to the classic Japanese anime from the 70's. Teal vinyl with black, yellow, red and blue sprays. PLEASE NOTE: these are sold at random and there is a small chance you will receive the red crystal eye chase version. Made in Japan. Dead Hand Toys, creator of Greads, and Zukaty are dropping some new goodies. A new sculpt based on the original Greads, Greadzees are resin cast and hand painted. Sixteen different variations, non-blind boxed so you can pick the ones you like the most! 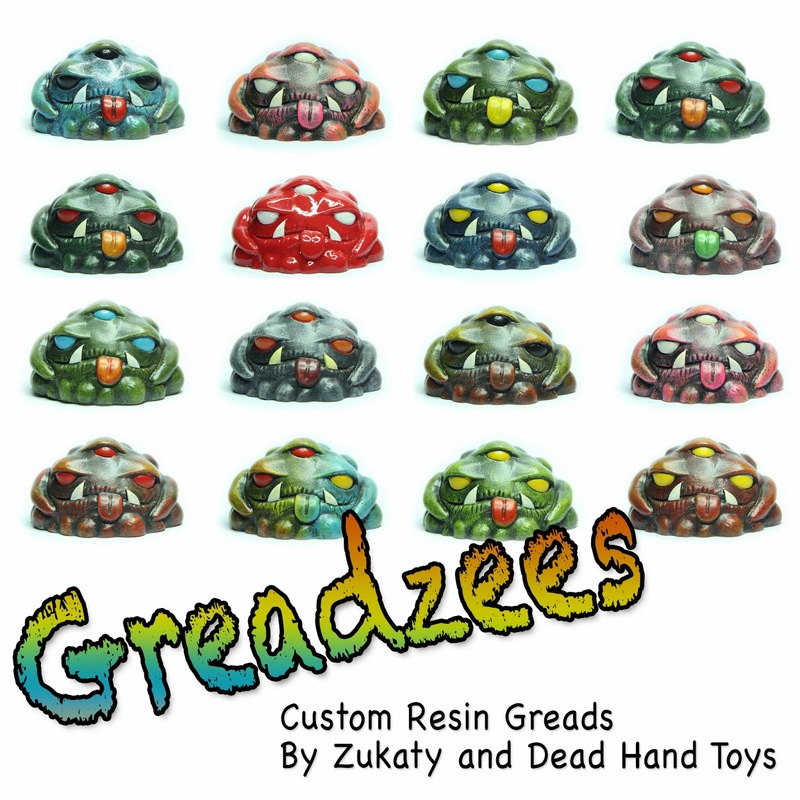 Greadzees will be available at 5pm EST today at Dead Hand Toys. All I know about KillZone is that I see the game boxes in my sons room, I know the troopers look cool as I have a few plays of the game! Thats about it!! threeA dropped some info to me this morning.... 1/6 Hazmat Trooper. I shouted to my son to show him.... he just said 'WANT' and left for school!! So I guess its cool!! Realistic soft rubber hose, cable & metal spring throughout the figure. Ask your local threeA retailer for details. 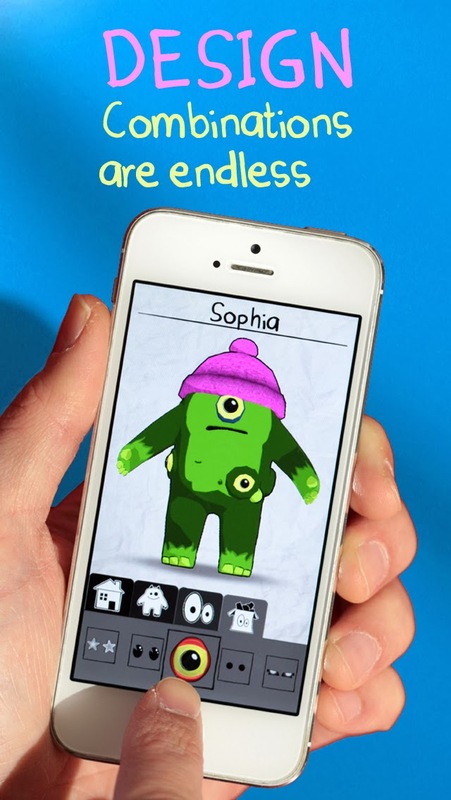 3D printing is changing the world and democratizing the act of creation. 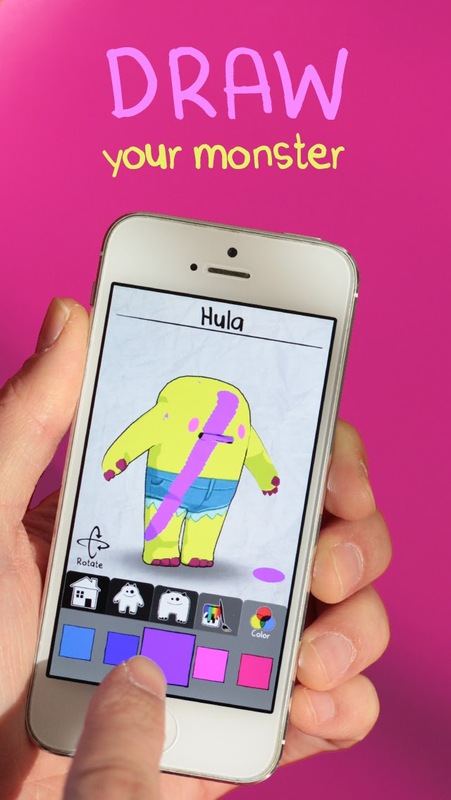 With the release of Monstermatic in the App Store, anybody can become part of the revolution and experience firsthand the power of this incredible technology. 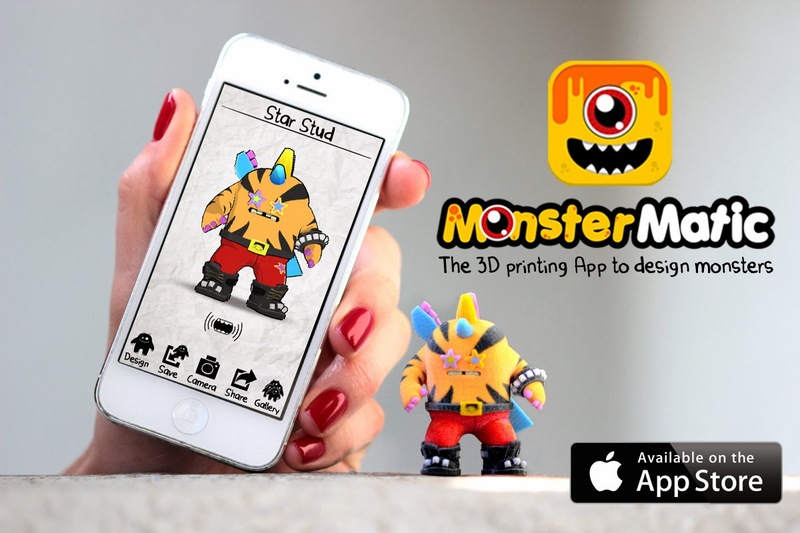 Monstermatic is available for free for a limited time on the App Store (www.tinyurl.com/monstermatic5) so go try it out! 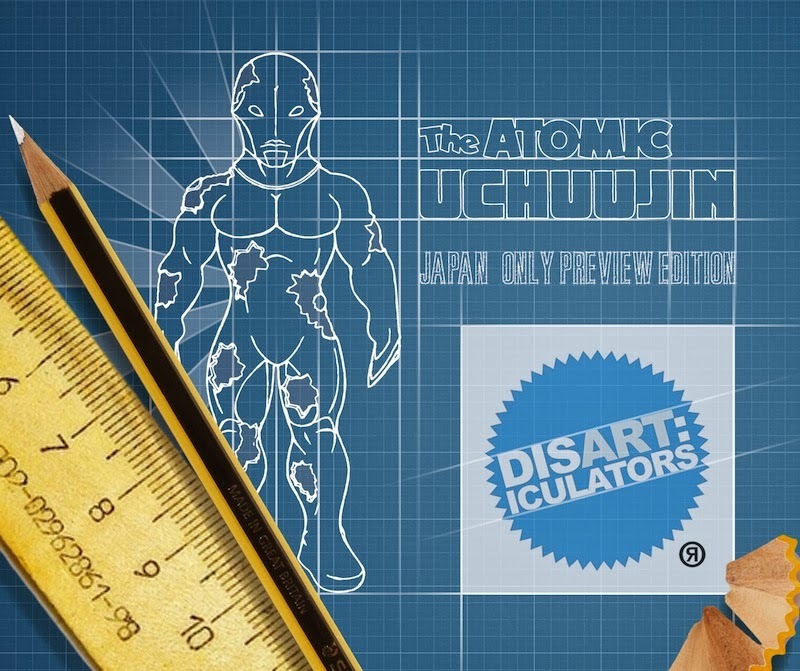 The latest keshi sculpt by The Disarticulators has been revealed, named Atomic Uchuujin. Inspired by the banned Ultra7 character Alien Spell, Atomic Uchuujin was sculpted by Zectron and is roughly 2.75" large. 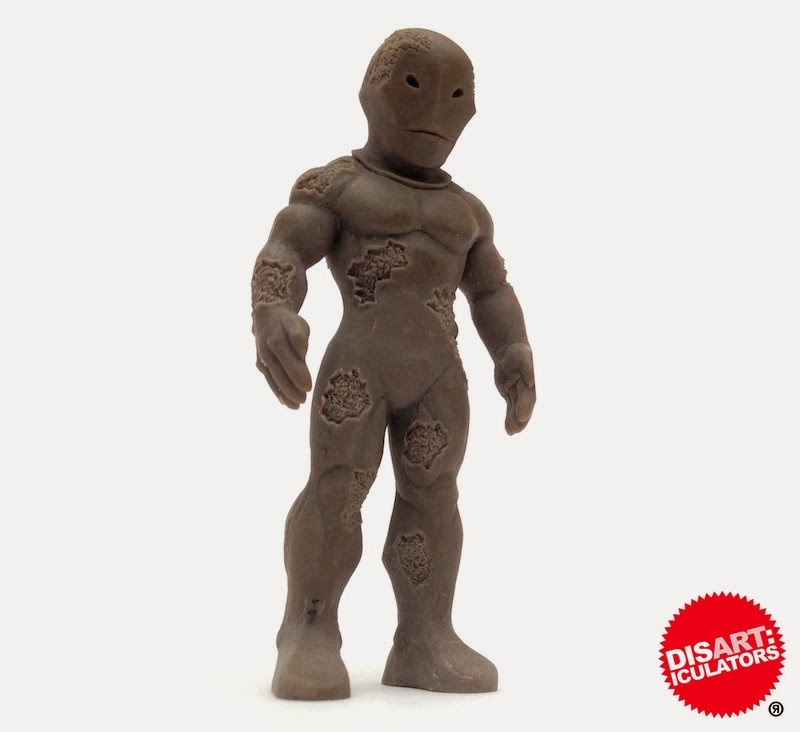 The figure is being cast in premium rubber by Tru:Tek, with many colorways planned for the future. Atomic Uchuujin is slated to make it's first debut at a Rampage Studio's Keshi party on February 7th, in a Japan Only preview run. 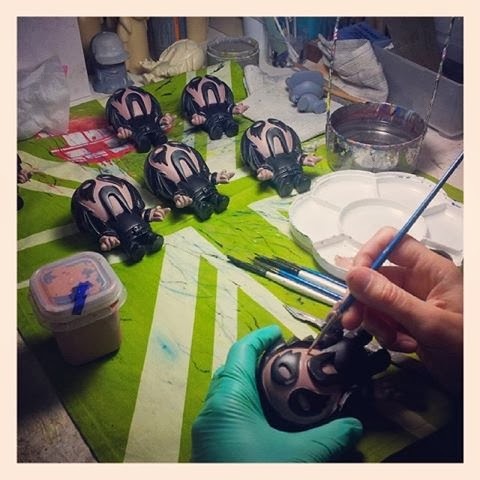 This figure will be limited to 10 pieces each of a flesh colorway and a secret "gift only" colorway. Each figure will be packed with a blueprint header card and a yet to be announced special companion piece. 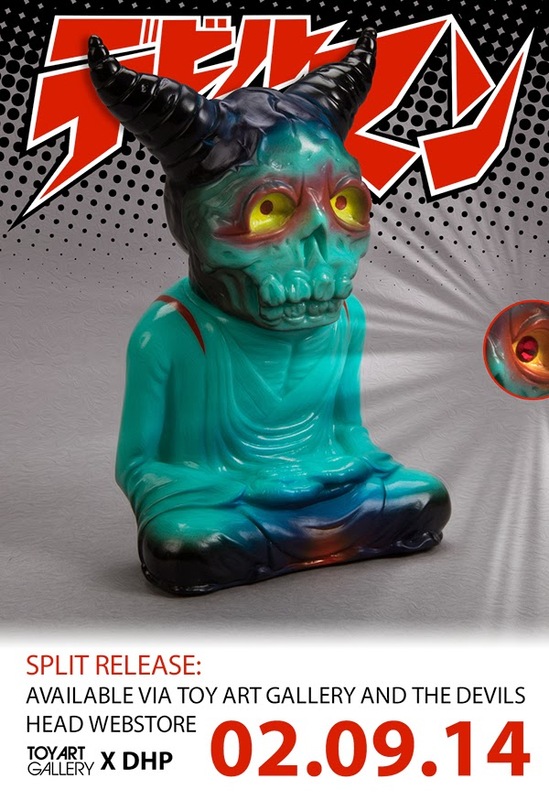 Atomic Uchuujin is expected to be priced at around 3000 yen($29). A Western release will be made available at a later date, so stay tuned for this news in the future. If that news wasn't enough, a few of these Marbled Madballs of Death and Oozeball sets are going to be available, in limited quantity, at the event. 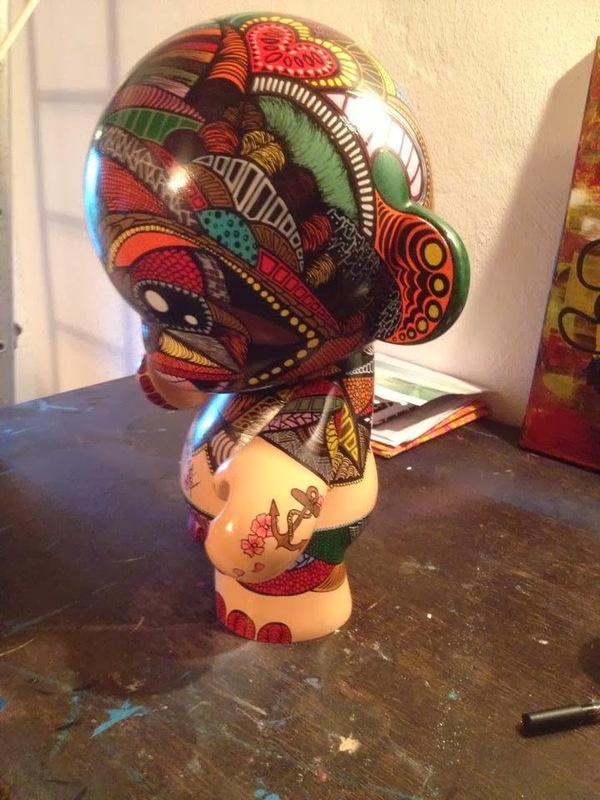 The first Munny from Snoobles Art and it is even a Mega Munny. Awesome work! Pretty sure that we will see more artwork from this artist here! Since 1949, when Lego was founded, many themes have come and gone, and up until recently, had been internal creations. In 1999, Lego and Lucasfilm entered into a series of lengthy licensing deals which have spawned some of the most popular Lego models in the company's history, as well as some fairly unique multimedia experiences like video games and animation films that really unify the two brands in almost irresistible ways. Take the movie "Lego Star Wars - the Empire Strikes Out", which I picked up just a few days back from ToysRUs on a whim because, A) it was an impulse buy at under ten dollars, and B) I wanted an interesting new item to review for my first Lego post on here..
Lego Star Wars - the Empire Strikes Out: HOW could I resist?! It was a complete package! 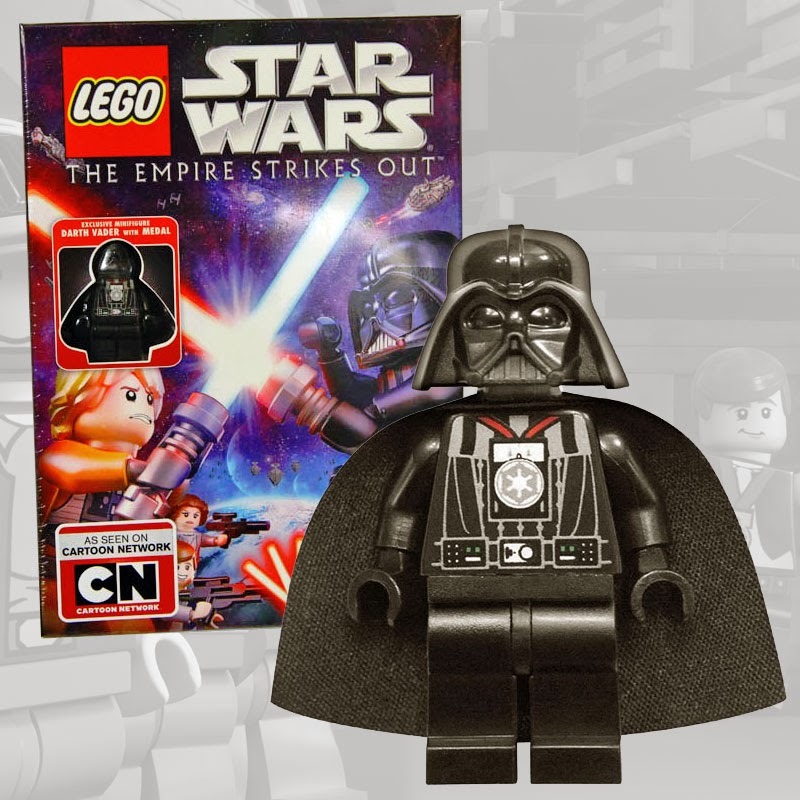 A animated movie about Star Wars Lego adventures and it comes with a tiny Darth Vader! 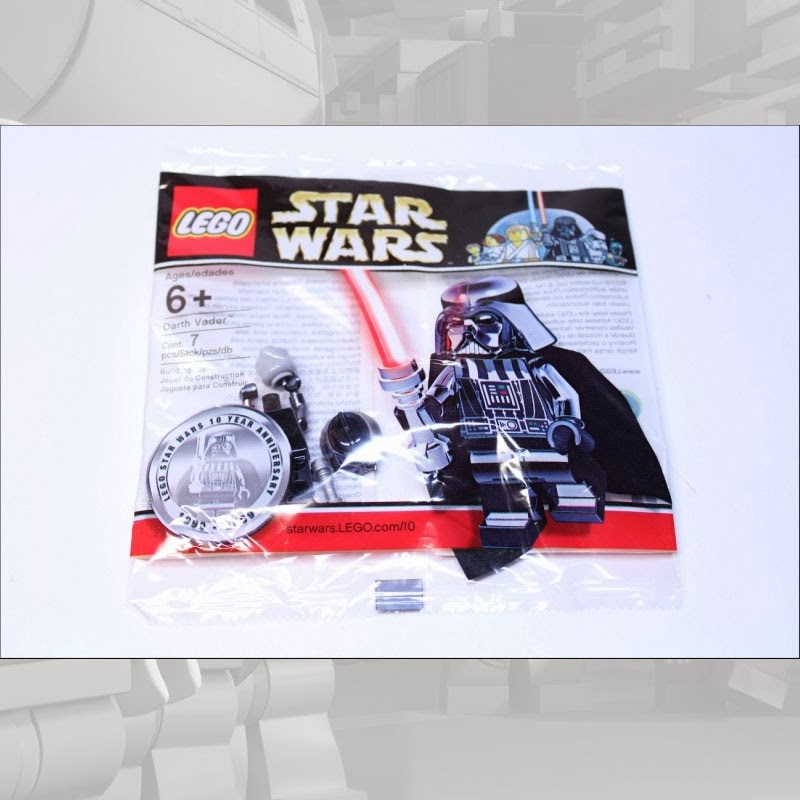 So the main draw of this package was of course the variant version of Darth Vader with Medal. The attraction of these minifigs is completely understandable. With a fair 7-point articulation on most of the figurines from Lego, increasingly cool designs, and being produced on a small scale height of right around two inches on average (which makes storage and display easy and affordable...) you can't go wrong with them as a start out line on your path to becoming an incurable collector of toys. Vader was of course made available in a myriad number of sets and variations prior to this one, at least a total of nine times including a rare variation that had a black chrome look. Edition of 10,000 randomly inserted into Star Wars sets in 2009 to celebrate the 10th Anniversary of Lego and Star Wars. This particular Vader that comes in the Lego Star Wars - the Empire Strikes Out set, does not come with a lightsaber (most bonus minifigs like this do not come with accessories). The second part of this set, the actual movie, was pretty good family friendly fare, not unlike the other Lego movies that are often shown at Legoland KC in the 4D Cinema room but longer as it came in at a television episode length of about 22 minutes. 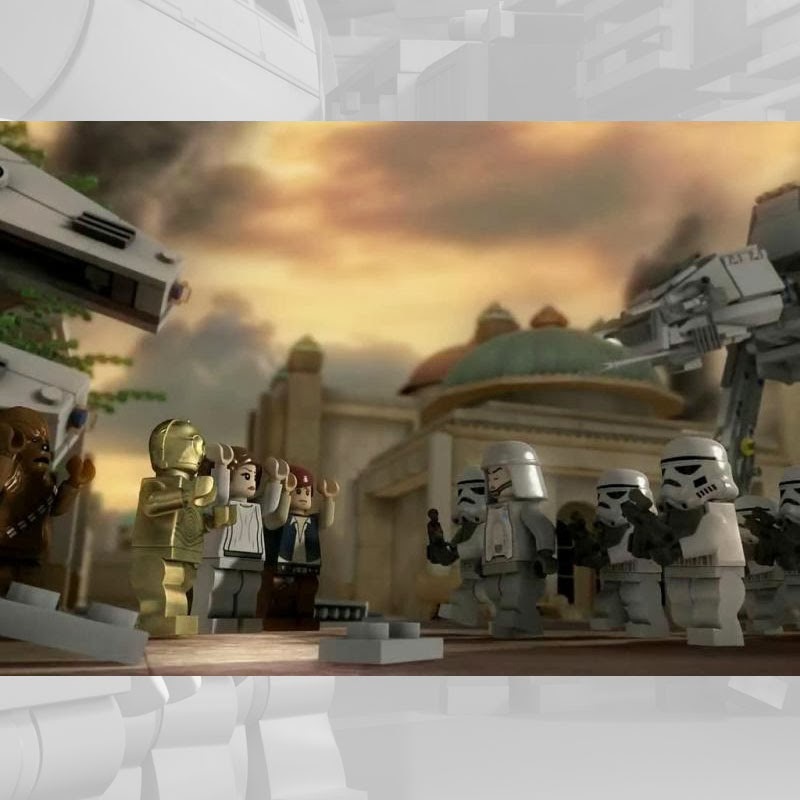 Screen capture from "Lego Star Wars - the Empire Strikes Out"
Plenty of light hearted humor bits on the Star Wars universe and something that I imagine the kids around the age set of 5 to around 10 would enjoy more than once. Overall, I'd say that if you can find this set, it's a good purchase at around ten bucks, it normally retails at about fourteen dollars in some places. For kids, it's a great set, for the collectors, it holds it's own as well, as I'll drop a $20 to get a rare figurine at a comic convention when I come across one to complete my collection. Considering there are just around 3,700 individual minifigs available out there in a variety of scarcity and exclusivity, (and companies like Brick Forge adding even MORE customization options to the mix) I think I've got my work cut out for me. Lisa Rae Hansen's MegaSeth: Love Monster edition will be available today at 6PM EST on our Super Series Sundays page. Limited to just 8 pieces, the 6" resin MegaSeth: Love Monster figure is a Tenacious Toys Exclusive, wearing our pit bull on the front of his shirt. 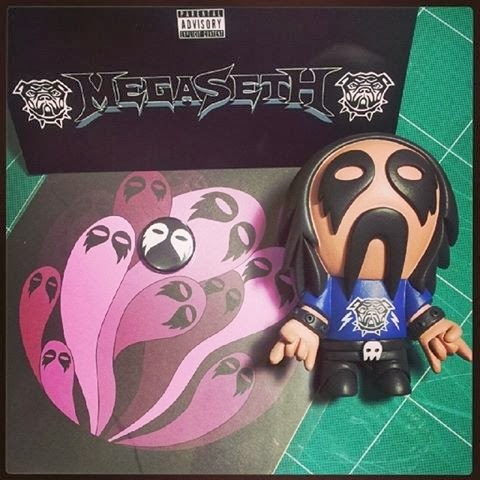 MegaSeth: Love Monster edition comes comes bagged and tagged with a header card, along with a button and a mini print, all for only $60. 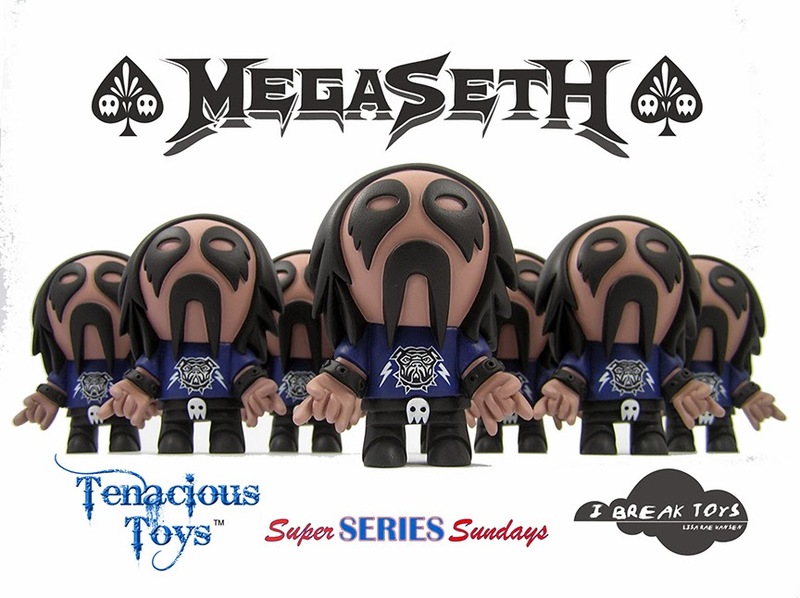 Click here to visit our Super Series Sundays page to buy MegaSeth and tons of other exclusive art toys.